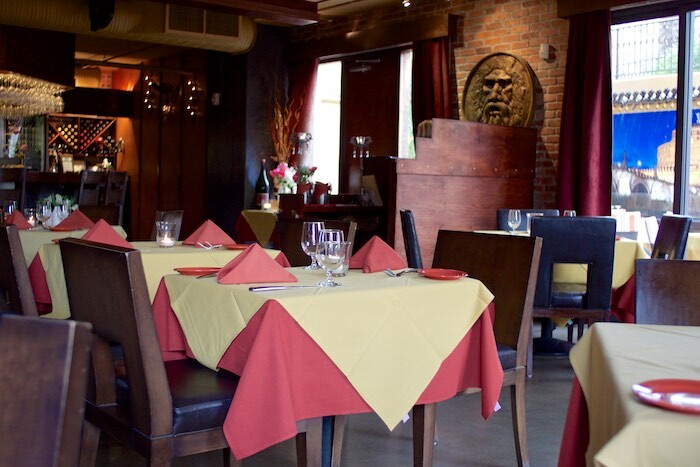 Located along the waterfront, in the heart of downtown Scottsdale, Marcellino Ristorante is a cozy restaurant that has been serving authentic Italian food artfully prepared by Chef Marcellino for over 12 years. 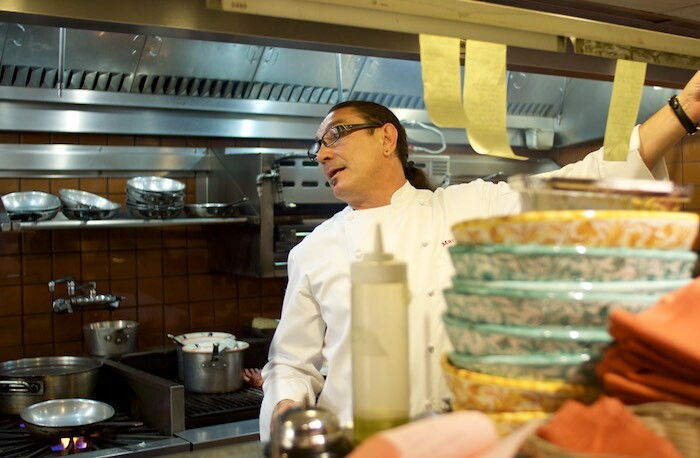 Chef & his wife Sima work hard to create an Italian experience for diners representative of life in their native Italy. Attention to detail seeps into everything from the Piazza feel of the outdoor patio to the warm candle lit main dining room with hand crafted dark wood furniture. Chef Marcellino learned to cook out of necessity at the young age of 11 when his mother passed away and he was left to cook the family meals. 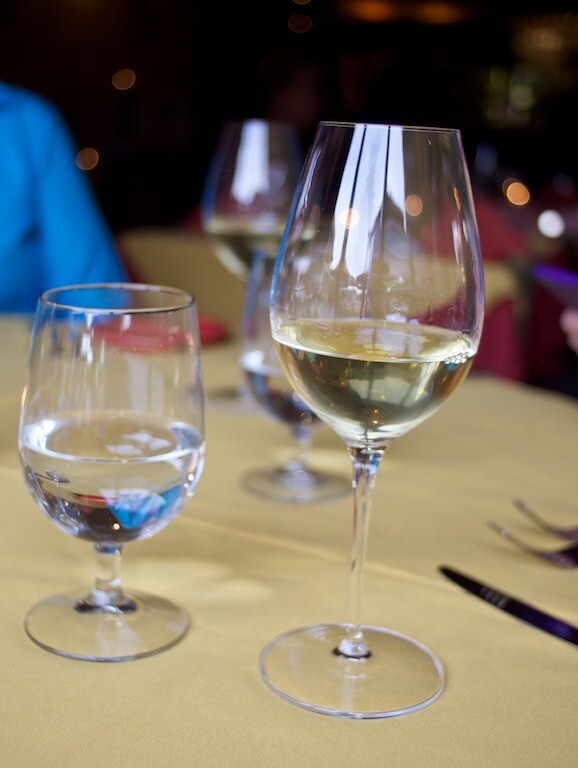 Completely self taught, Chef uses only the finest imported ingredients to create a menu which focuses on food and wine from his home in the Campagna region of Italy. There is something appealing about the warm welcome diners receive, often from Sima herself, upon entering the restaurant which continues throughout the evening with attentive service. Dinner at Marcellino Ristorante begins with homemade bread served with a charred roasted pepper & eggplant spread, a delightful treat to enjoy while perusing the menu and wine list. The Antipasti includes dishes like grilled polenta squares topped with a sauté of mixed mushrooms and drizzled with truffle oil, scallops finished with fresh pesto and a Caprese made with fresh imported Mozzarella, tomatoes, roasted peppers and homegrown basil. Salads are prepared perfectly with house made dressings that use fresh local lemons, herbs hand picked from Marcellino's home garden and imported balsamic vinegar and extra virgin olive oil. 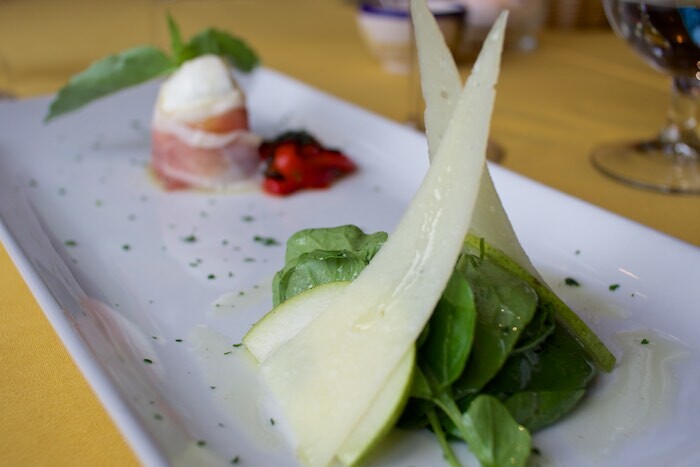 A wonderful example is the peppery watercress salad served with fresh pear slices and imported pecorino Romano cheese. Note that you won't find salt or pepper on the tables at Marcellino as Chef serves food exactly how it should be eaten. 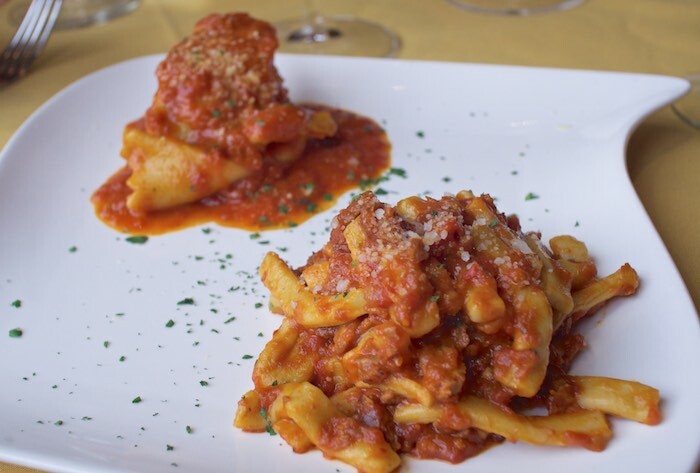 When it comes to pasta Marcellino knows what he is doing. Texture perfect pasta is handcrafted daily and is often infused with various herbs and paired with exquisite sauces. Chef does a delicious tortelloni filled with a thick puree of fillet mignon and vegetables. For something more mainstream I suggest trying the Paccatelli, which are short, thick pasta served with a delicious Italian sausage ragu. The menu features a nice selection of seafood and meat served with seasonal vegetables and potatoes for those wanting something other than pasta. 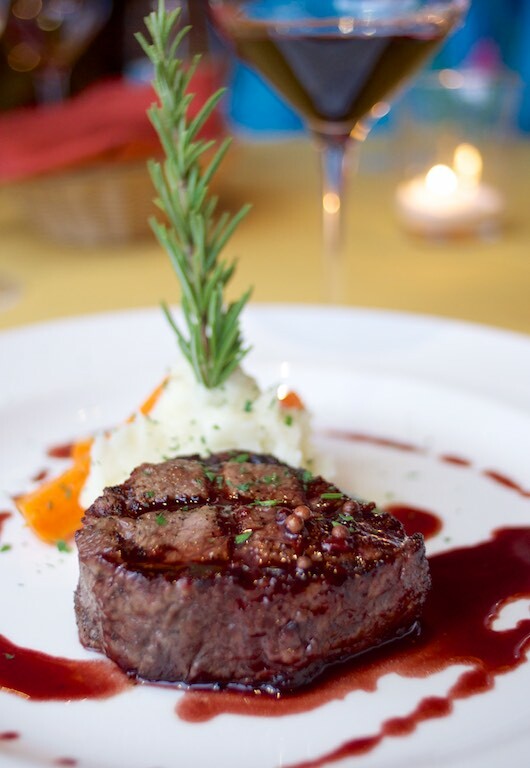 Try the thick cut filet grilled to perfection and drizzled with a Barolo reduction. 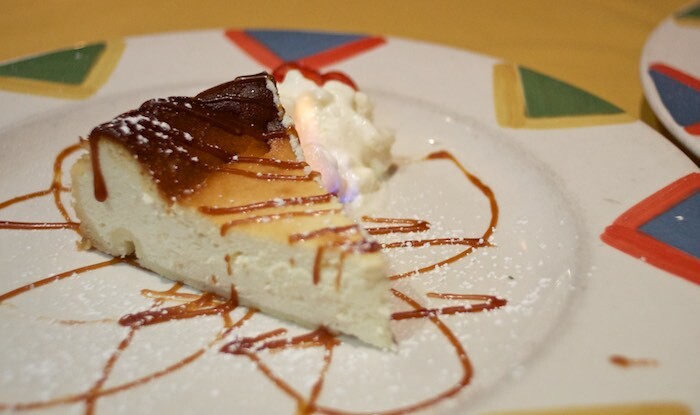 The dessert menu features a homemade ricotta cheesecake topped with unsweetened whipped cream and drizzled with a delectable caramel sauce. 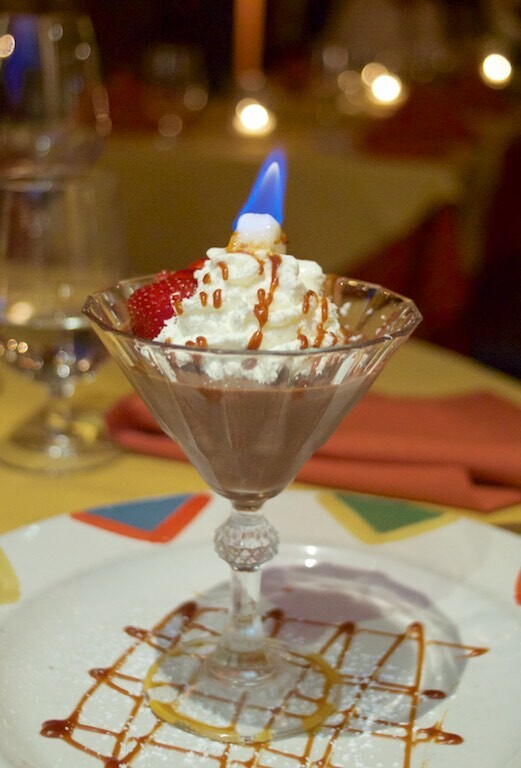 There's also a chocolate mousse, basically heaven in a glass, and many other selections. 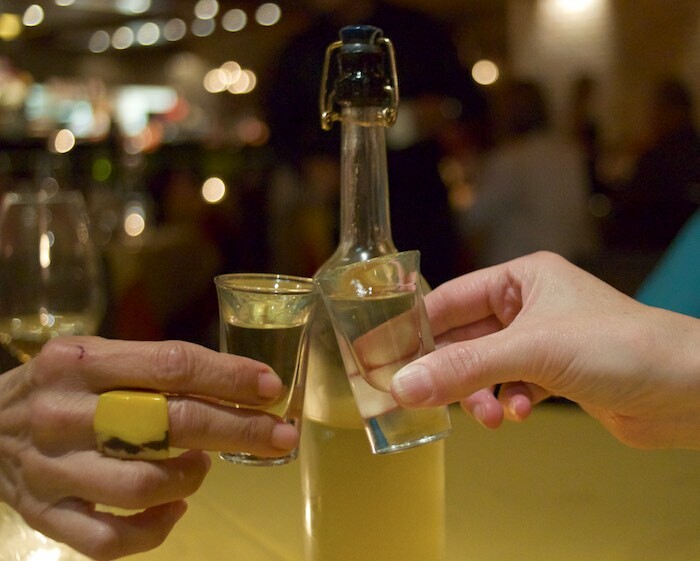 Chef Marcellino & Sima know that an Italian meal would not be complete without a toast to good food, good friends and good conversation; which is why there is always homemade limoncello around. Oh man... this makes me hungry! I love restaurants right on the water too this place looks cozy and tasty!! This place looks like a winner! Oh my gosh what a heavenly meal! This looks amazingly, I'd love to visit this restaurant. I love that fact that he is a successful restaurant owner and all self taught! Oooh this restaurant looks so tasty especially that pasta dish! Everything looks so amazing. Sounds like a great restaurant and night out! Cheers to a delicious looking meal! I love that rosemary sprig in the potatoes. Looks like a wonderful dinner! Those pastas and that filet! Looks incredible, wish I could have dined with you! This sounds like a great restaurant. What an amazing restaurant! Love the fresh looking salad. What a great restaurant! Love that filet! How amazing that he's been cooking meals since he was 11! This is definitely one to put on my must-try list whenever I make it back to Scottsdale. This looks like a special meal. Your pictures are lovely. Adding this to my place to try! Oh I am jealous! This looks SO good! What a great way to spoil yourself and your loved one! I WANT to try that mousse! I am practically drooling here! I love waterfront dining and the food sounds incredible, can't wait to visit when we're in the area!